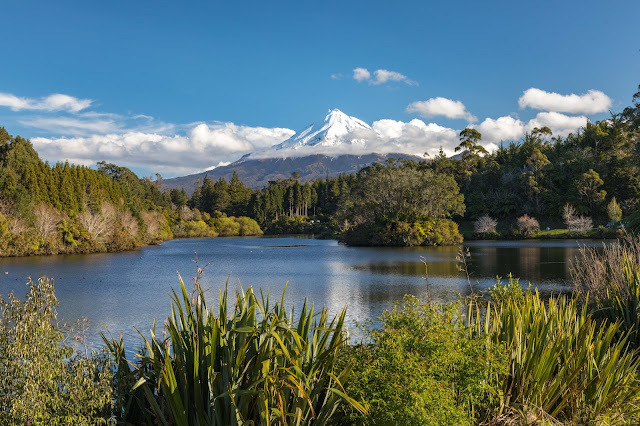 It isn't always easy to get the lake, sun and mountain to co-operate but here is the classic Mt Taranaki photograph taken from Lake Mangamahoe. i did not know you went there. otherwise I will go with you.